Lynn Malone and the design team at Digs Floral and Botanic Designs in Ojai is thrilled to once again put their talents and imagination to work for the Holiday Home Look In. 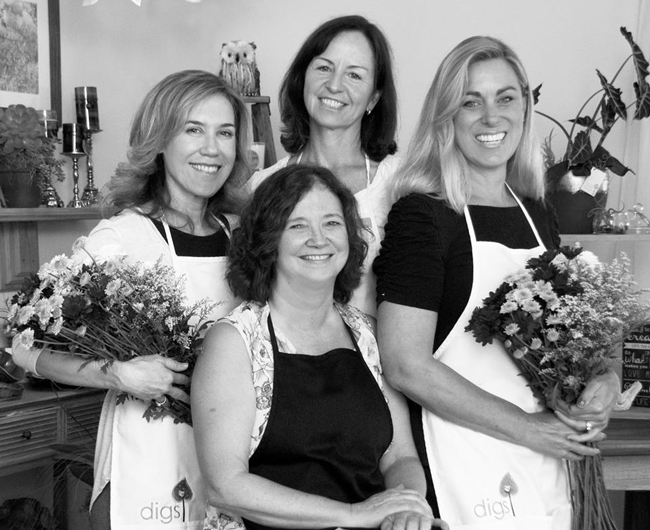 New to the tour last year, Digs went all out to create masterful holiday floral designs for a Rancho Matilija home. This year, the Digs design team returns by popular demand, to embellish Blue Heron, another beautiful home in Rancho Matilija – this time with an array of multicultural holiday decor. When asked which holiday they would like to focus on, Digs’ designers agreed that they are truly inspired by them all. The florals throughout the home will honor several holiday traditions, some of which have roots in other parts of the world. The homeowner’s travels, experiences and interior design aesthetic have also inspired the floral décor. Once again, Digs designers hope to inspire guests with unique decorating ideas for the upcoming holidays. And, if DIY is not your idea of holiday fun, their designers are always happy to be of assistance. Some of the creations you’ll see on the tour will be available at Digs throughout the Holiday Season. ← Celebrating Kaija Saariaho’s Birthday Month!